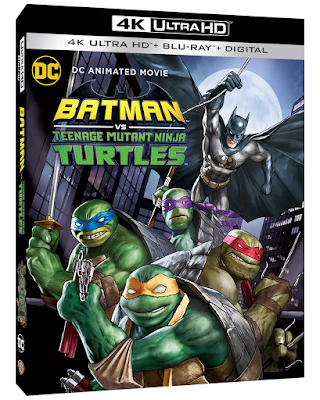 The 4K Ultra HD Blu-ray disc of Batman vs. Teenage Mutant Ninja Turtles will feature Dolby Vision™ HDR that dramatically expands the color palette and contrast range and uses dynamic metadata to automatically optimize the picture for every screen, frame by frame. 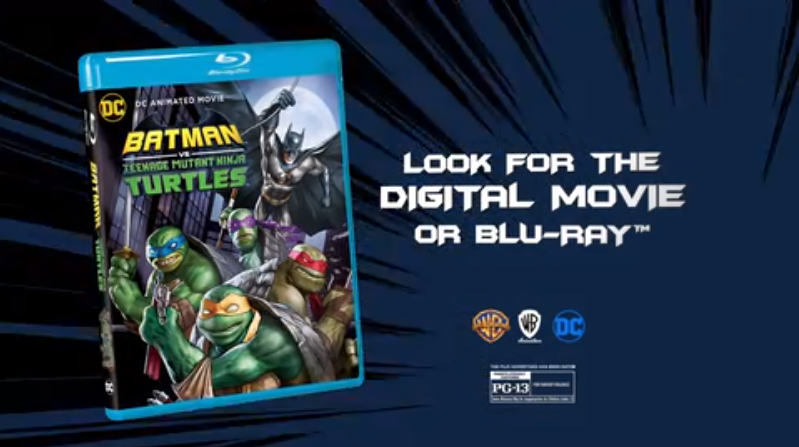 The 4K Ultra HD Blu-ray disc of Batman vs. Teenage Mutant Ninja Turtles will also feature a Dolby Atmos® soundtrack remixed specifically for the home theater environment to place and move audio anywhere in the room, including overhead. To experience Dolby Atmos at home, a Dolby Atmos enabled AV receiver and additional speakers are required, or a Dolby Atmos enabled sound bar. Dolby Atmos soundtracks are also fully backward compatible with traditional audio configurations and legacy home entertainment equipment. Before going in for the World Premiere of ‘Batman Vs. The Teenage Mutant Ninja Turtles,’ I (and a handful of colleagues from other online sites) sat down with some of the creatives from the film to talk about their experiences making the movie and get a sense of what to expect. All in all, everyone involved seemed to really love making the movie, working with the characters, and are big fans of what they were doing with the story, which is really exciting to see, but not that surprising considering that most of them grew up with both Batman and the Ninja Turtles, making this a kind of dream-project to work on. The guys went on to talk about the nature of voice-acting, and how Troy doing two roles was not that out of the ordinary considering the fact that the man routinely talks to himself (which he and Cas laughed about), which meant even in scenes with Batman and Joker he apparently would just read straight through, talking to himself as both characters (though he did admit doing the Joker voice was challenging, and he envied Mark Hamill who seemed to do the character with such ease). All in all, lots of cool information learned at the event, and now that I have seen the film, I can understand the excitement of the cast and crew about the movie. Make sure to check out my review of ‘Batman Vs. 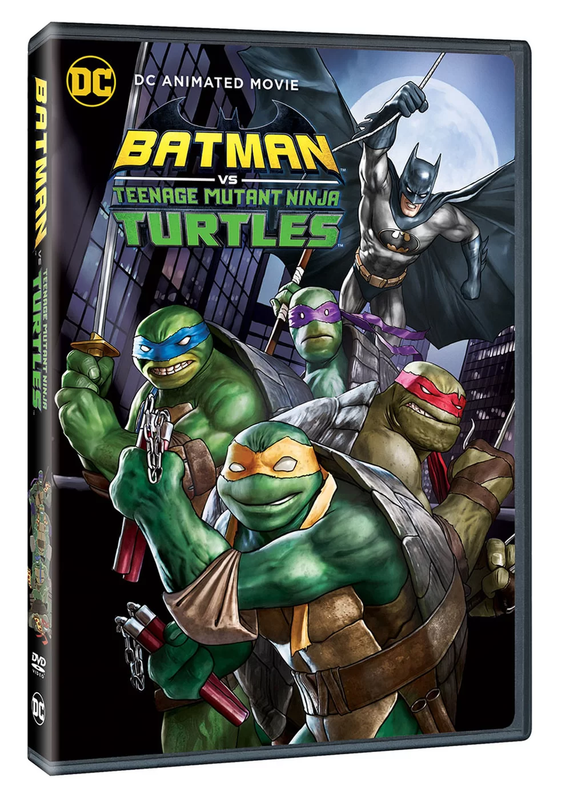 The Teenage Mutant Ninja Turtles Movie,’ and see the movie for yourself when it comes out on Digital on May 14th and Blu-Ray on June 4th! EW has unveiled the first trailer for Batman vs. Teenage Mutant Ninja Turtles, the brand-new direct-to-video movie inspired by the story arc from comic book writer James Tynion IV and artist Freddie Williams II, in which the famous half-shelled katana-twirling pizza lovers head to Gotham City. But their arrival doesn’t initially merit a warm welcome from the rumored “supernatural Bat creature” in town known as Batman. 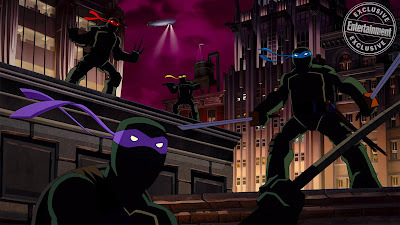 The feature-length film, from director Jake Castorena and screenwriter Marly Halpern-Graser, sees the Teenage Mutant Ninja Turtles tracking Shredder to Gotham City, where the villain teams up with Ra’s al Ghul and other members of the Dark Knight’s rogues’ gallery to enact a mysterious plot. Just like another V movie between two superheroes, these sets of good guys may throw a few punches at each other before realizing there’s a far more real enemy lurking in the shadows. In the comics, the worlds of Batman and the TMNT collide through a dimensional warp. For this film, it was through a massive collaboration between Warner Bros. Animation, Nickelodeon, and DC. Batman vs. TMNT features the Heroes in a Half Shell arriving in Gotham City through some sort of dimensional shenanigans to pursue the Foot Clan and their activities there. Of course, Batgirl and Robin eventually catch wind of this, and let the Dark Knight know. Batman being Batman, he's immediately suspicious of the Turtles, while the Turtles themselves have already made an impression on Gotham's villains. As Shredder teams up with Ra's al Ghul to let all of the city's most dangerous supercriminals out of prison, the Turtles must convince Batman that they're on the same side, even if he's not making that particularly easy for them. 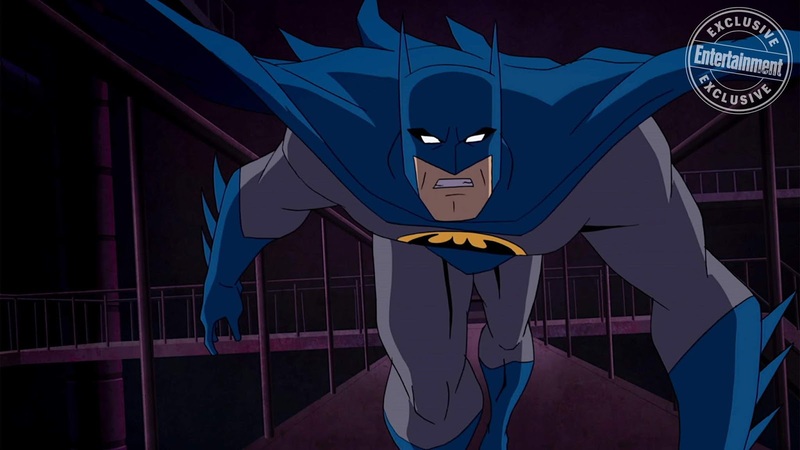 Batman's face when he realizes who he's facing is worth the price of admission all by itself. 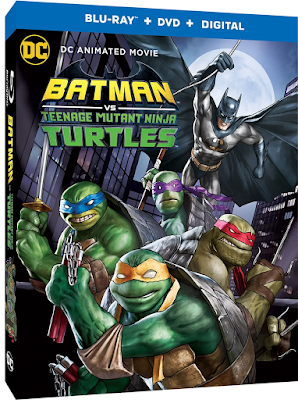 The trailer features, among other things, the TMNT squaring off against The Penguin and his goons before encountering the dark knight himself, and a brief glimpse of a Batman/Shredder fight. There is also a scene where Batman fights ninjas. With Batman vs. Teenage Mutant Ninja Turtles, Troy Baker, a voice actor from video games Batman: Arkham Origins and The Last of Us, becomes the first to ever play both Batman and the Joker in the same film. Team Bats is rounded out by Crazy Ex-Girlfriend's Rachel Bloom as Batgirl, Henry Danger and Hart of Dixie's Ben Giroux as Robin, Seinfeld's Brian George as Alfred, and Parks and Recreation's Jim Meskimen as Commissioner Gordon. Emmy winner Darren Criss (The Assassination of Gianni Versace) leads the voice cast behind the Turtles as Raphael, accompanied by Saturday Night Live's Kyle Mooney as Michelangelo, Grace & Frankie's Baron Vaughn as Donatello, and Rise of the TMNT, Lucky and The Woody Woodpecker Show's Eric Bauza as Leonardo. John DiMaggio (Futurama, Adventure Time) voices Mr. Freeze, Tara Strong (Fairly OddParents, Teen Titans Go!) voices both Harley Quinn and Poison Ivy, Tom Kenny (SpongeBob SquarePants, Rocko's Modern Life) voices Penguin, Carlos Alazraqui (Rocko's Modern Life, Fairly OddParents, Reno 911!) voices Bane, Cas Anvar (The Expanse) voices Ra’s al Ghul, Keith Ferguson (Foster’s Home for Imaginary Friends) voices Baxter Stockman and Two-Face, Andrew Kishino (The Lion Guard) voices Shredder, and Meskimen voices another character with Scarecrow. 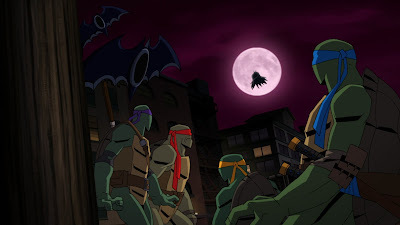 Ben Jones of Teenage Mutant Ninja Turtles and Batman: The Brave and the Bold is also on board as a producer, while Benjamin Melniker, Michael Uslan, Sam Register, and Chris Viscardi serve as executive producers. 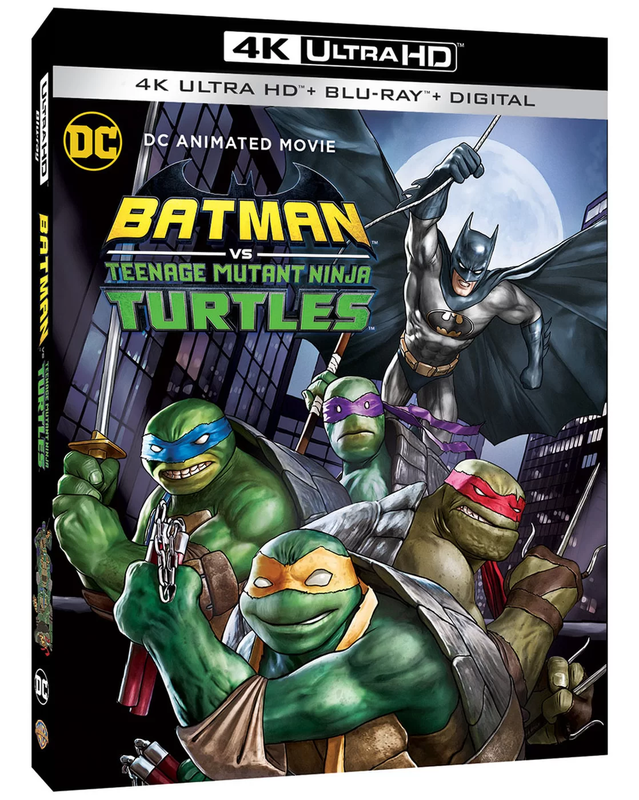 Batman vs. Teenage Mutant Ninja Turtles will be released through Warner Bros. Home Entertainment on Digital and on 4K Ultra HD Combo Pack and Blu-ray Combo Pack this spring, following its world premiere at WonderCon Anaheim 2019 on Sunday March 31, 2019! 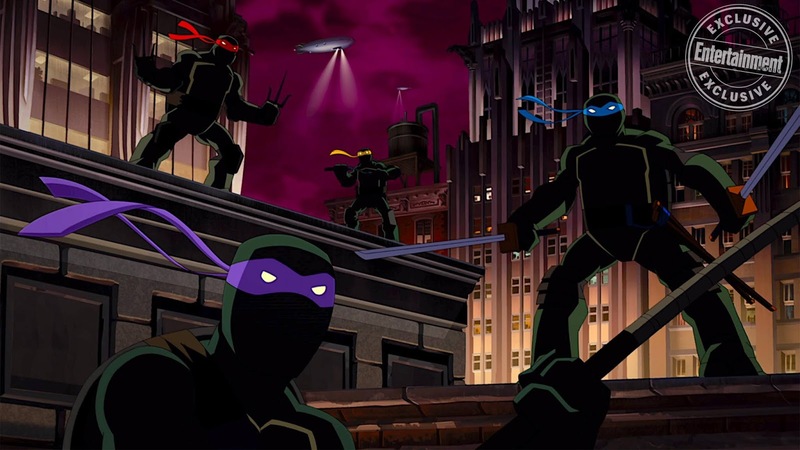 More Nick: Paramount Moves Ahead with Third 'Teenage Mutant Ninja Turtles' Theatrical Movie! Originally published: Tuesday, March 12, 2019 at 9:17pm GMT. Additional sources: The Beat, Dark Horizons, Bubbleblabber, SYFY WIRE, The Beat, Collider. Follow NickALive! on Twitter, Tumblr, Reddit, via RSS, on Instagram, and/or Facebook for the latest Nickelodeon and Teenage Mutant Ninja Turtles News and Highlights!